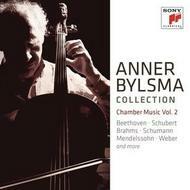 Sony Classical celebrates the 80th birthday of distinguished Dutch cellist Anner Bylsma with a special 38 CD survey of his finest recordings, many originally issued on Sony�s legendary period-music label Vivarte, and now re-released as four individually boxed sets. Born in The Hague in 1934, Bylsma won First Prize in the 1959 Pablo Casals Competition in Mexico and served as Principal Cellist in Amsterdam�s Royal Concertgebouw Orchestra from 1962 to 1968, before becoming better known as one of the leading pioneers in the period-instrument revival of the Sixties and Seventies. Highlights include Bylsma�s two recordings of Bach�s six Cello Suites recorded on both a Baroque cello from Venice and a five-string �violoncello piccolo�; His equally remarkable 1992 remake on which he played the uniquely surviving �Servais� Stradivarius of 1701; the complete Beethoven Cello Sonatas and Schubert�s �Arpeggione� Sonata with pianist Jos van Immerseel; two Brahms Sonatas with pianist Lambert Orkis; Schubert�s �Trout� Quintet, Mendelssohn�s two String Quintets and other chamber works by Haydn, Mozart, Spohr and more. Also included are Flute and recorder sonatas by Bach, Corelli and Handel with flautist Frans Br�ggen and harpsichordists Gustav Leonhardt and Bob van Asperen; Cello concertos by Haydn, Vivaldi and Boccherini with Tafelmusik; and the Beethoven Triple Concerto with pianist Paul Badura-Skoda and violinist Franzjosef Maier directing Collegium Aureum.